"The city has a figure, the campaign has a soul." Do you like nature, the forest, the great outdoors? You want to change air, aspire to calm and at rest while having the opportunity to visit the area? You are invalid or disabled, a couple, family, friends… Venture in the authentic environment and serene of the French countryside, while being within reach of car of the main cities of the region and their attractions and entertainment! With a few clicks, get your idea by browsing our site. 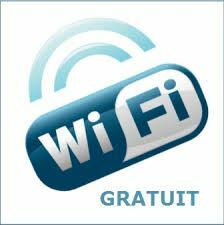 Note on: free WIFI, equipment baby, welcome to our animal friends!